One of the biotech unicorn's labs was found to pose 'immediate jeopardy' to patient health. Building a biotechnology business is a lot more complicated than leading a soft and cuddly app start-up. Human health is a controversial and emotive area, the compliance issues are onerous and it can be a very litigious industry – especially for our cousins across the Atlantic. So it’s perhaps not surprising to see the jitters afflicting Theranos, the once-feted blood testing company started by young entrepreneur Elizabeth Holmes. 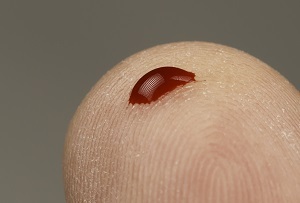 The Silicon Valley company’s premise was all about making blood tests simpler and safer. Its Edison machine can apparently analyse tiny samples taken from finger pin pricks in great detail, avoiding the need to take large amounts through a needle in the vein. Since Holmes launched the company in 2003 it has raised $400m (£280m), notching up an apparent valuation of $9bn – the sort of figures most tech entrepreneurs wouldn’t even dream of. But in October the Wall Street Journal published a punchy article claiming Theranos wasn’t using its new tech for most of the tests it carries out, and was therefore 'more like a traditional lab that draws blood with needles from patients’ arms'. Theranos hasn’t taken the allegations lying down and there have been murmurings about potential legal action against the newspaper but it seems clear the company is in trouble. Commercial partners including Walgreens and Safeway have suspended and cancelled their respective plans to roll-out its technology in their stores. And yesterday it emerged that a US government agency, CMS, had said one of its labs posed ‘immediate jeopardy to patient health and safety’. Doubts about its tech are one thing, but language like that must be any biotech firm’s worst nightmare. As you might expect, Theranos is keen to nip the problem in the bud. It was keen to point out that the letter did not pertain to its main lab in Arizona, where 90% of its tests are carried out, and also that they had no relation to the WSJ’s reports. Regardless of the letter’s significance, news like this is not helpful for a firm trying so hard to salvage a reputation that's in such ill-health.